Is a water flosser necessary for proper dental hygiene? 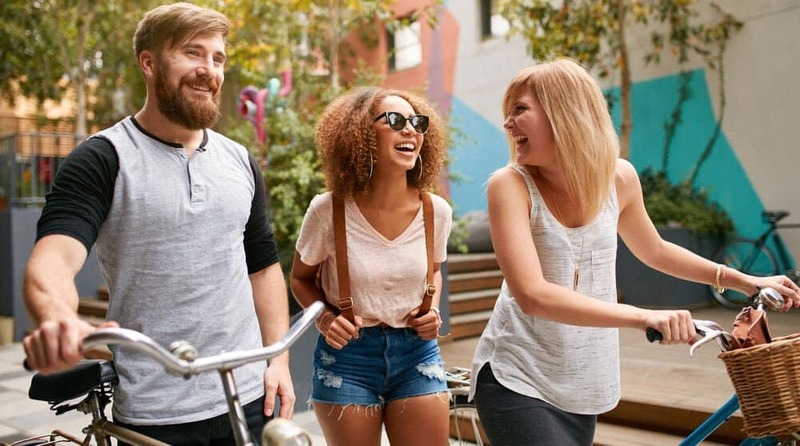 According to the CDC, 47% of the U.S. Population over the age over 30 have mild to severe forms of gum disease (periodontitis)1. For people over the age of 65, the prevalence of gum diseases rises to 64% of the entire U.S. Population. Gum disease can easily be prevented by taking proper care of your mouth. That’s why we have spent over 35 hours of research in order to determine what the best water flosser available. Our top pick after all the research was the Waterpik WP-660. When sitting in the chair at the dentist office and hearing the dental hygienist asking you how often you floss, you likely ponder over whether fudging the information or coming clean. But as your breath stinks, food debris is lodged between your teeth, and the tartar build up from excessive plaque the truth becomes evident; you likely haven’t water flossed in the weeks, months, or (gasp) years prior to the appointment. Don’t worry you are not alone. However, millions of Americans are beginning to incorporate a water flosser into their daily dental regimen, and you should too. It’s quick, effective, and comfortable way to get you on the right track to proper dental hygiene. 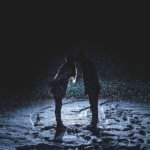 If you are dating, trying to cure a smelly breath that even the most popular mouth washes just simply can’t stand against, a water flosser is a critical component to fighting gum disease that allows this bacteria to fester within your mouth throughout the day, leaving your mouth less than optimal when it comes to smell and general cleanliness. During our review process, we fell in love with the WP-660. The WP-660 simply delivered the best over all performance, value, and construction. Also its replaceable tips and impressive multi-year warranty will last not just for the next six months, but for years. Our second choice was the H2ofloss which delivers not only all the pressure settings available in the WP-660, but also includes several tips that will not only be good for you, but an entire family as well. We have spent countless hours (37 to be exact) of research to determine best water flosser on the market today and one that will last you for years to come. From reading dental forums, blogs, specialty dental websites to find the top consumer-reviewed water flossers on the market and see what other dental experts recommend. A quick note: In this review you will notice us use the word “water flosser” or “oral irrigator”, both products are the same and therefore are used interchangeably. 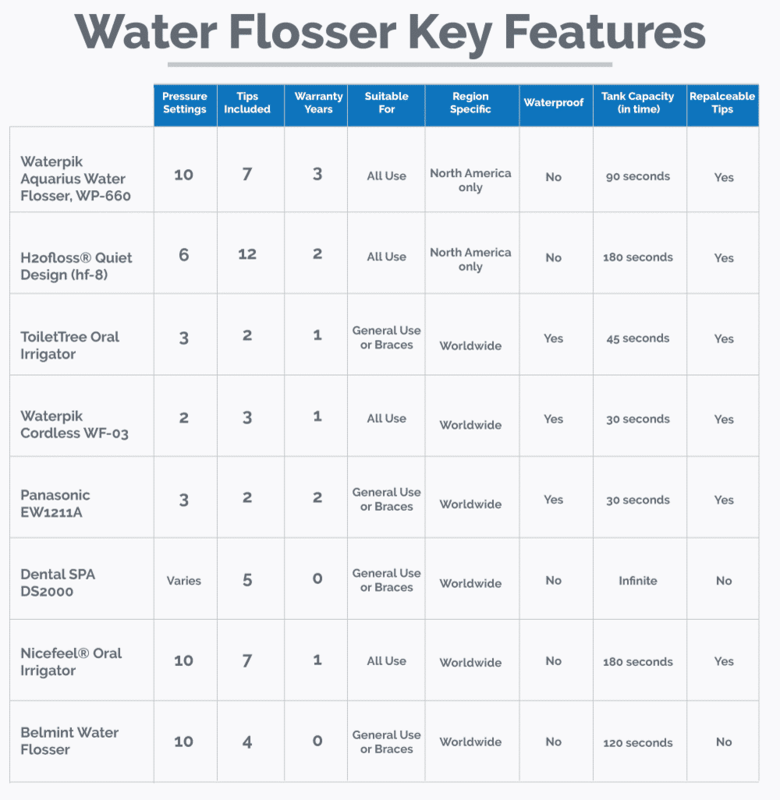 We set out on a journey to review eight very different and unique water flossers and performed all sorts of analysis on all the different features that are marketed for each individual product (chart below). Ultimately all the research was distilled down to whether or not these water flossers will leave your mouth feeling fresh and revitalized after every use. Our finalists are compromised of both water flossers that are suitable for all different scenarios including those who already have a great set of teeth but are looking for better hygiene, those with braces, bridges, and implants. In addition we take a look at the footprint that each water flosser takes up within your bathroom to ensure that you aren’t having to compromise on space. 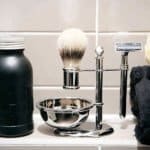 While Tools of Men is specifically a men’s site that focuses on products primarily geared towards men, water flossers are of course unisex and can be shared among others. When it comes to selecting the right water flosser, it really comes down of course to performance. However, to achieve maximum performance, you must take a look at each facet of the water flosser itself. The most important aspect of any water flosser is going to be the number of settings that are available to you. A water flosser with multiple settings, such as the WP-660, will allow for full control on the amount of pressure that is applied to your gumline. If your gums bleed easily, the WP-660 can easily be adjusted to a lower setting to provide a gentler massage that will still achieve adequate results. An important aspect to different pressure settings is that people will share the water flossing unit among their family. 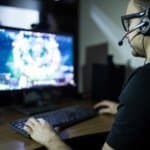 While you should never share tips of course, a device that allows for several pressure settings is naturally much more accommodating to everyone in the house. Therefore if you have braces, bridges, or implants, you can adjust accordingly so you don’t have any long term discomfort or dental issues. Docking for individual tips is a two fold advantage. First and foremost, a docking station for the tips allows for further cleanliness of the tips as opposed to having them rest on your sink counter or within the medicine cabinet. Bathrooms are microbial cesspools is the best environment for bacteria to multiply at an alarming rate. 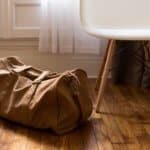 If you have more tips than a docking station allows, we recommend to store them separately in a travel case for optimal cleanliness. The water flossers main reason for existence is to rid your mouth of bacteria that is growing along your gumline and to flush away the occurrence of plaque. The best water flossers are able to remove 99.9% of plaque. In addition to cleanliness, a docking station will also allow you to easily have all the tips available should the oral irrigator be used by additional family members. While we are concentrating on oral irrigators exclusively within this review, there are some products like the DS2000 that do also allow for a toothbrush tip to be added. This capability is of course welcomed, but not a factor in our review. Water flossers come in a variety of reservoir sizes, from the 650ml/22oz (90 second) size found in the Waterpik WP-660 to those that are more portable in nature like the WF-03, but provide a lower operating time (around 30 seconds). If you are one that is always on the road or finding your self traveling in general a lot and still want to practice sensible oral hygiene, then selecting a portable water flosser is key. 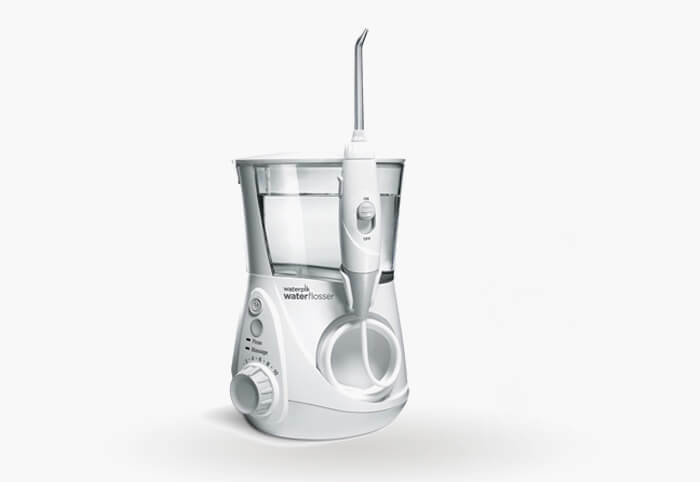 Oral irrigators like the WF-03 are capable of not only delivering a great floss time and time again, but are battery operated, therefore don’t rely on clunky power adapters for international use as seen in the Panasonic EW1211A. In addition to travel ability, most handheld portable water flossers are capable of being used within the shower. Therefore if you prefer to clean up your mouth while you clean up the rest of the body, a handheld flosser can provide this unique advantage when compared to other flossers that are stationary. As we eluded to at the beginning on the vast prevalence of gum disease within a large portion of the adult population, water flossers are 52% more effective at reducing gingivitis when compared to regular flossing. If your gums bleed every time your floss, a water flosser will be 93% better at reducing bleeding along the gumline, leaving a much more comfortable experience. If you currently have braces, you will be unable to effectively manage around the wires with floss leaving you susceptible to bacteria growing not only between your teeth, but along your gumline as well. 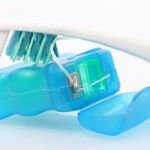 A water flosser equipped with the proper orthodontic tip, will be able to navigate between the wires to flush out any bacteria and plaque build up. Plaque picks and low pressure settings also make water flossing ideal for men and women of all ages to properly maintain their bridges, veneers, and implants. Recently, water flossers were scientifically proven as an effective alternative to brushing your teeth manually by reducing bleeding, gingivitis inflammation, and removal of plaque2. The most important aspect of any oral irrigation unit, is its ability to fully flush out the bacteria and food that has found its way into the narrow crevices. The flushing of food debris will effectively help combat gingivitis and plaque build up that eventually leads to tartar which will need to be removed with professional tools by a dental hygienist or dentist. Most high quality water flossers like the WP-660 contain a warranty that will last several years. Unfortunately though lack of regular maintenance of any water flosser will hasten the decline in performance over time leading it to eventually end up in a landfill. To ensure that your machine performs at the highest levels, and also to prevent the spread of additional bacteria along your gumline, its imperative to fully flush out your flosser on a monthly basis. While many homemade blogs and forums may champion the use of all natural products as cleansing agents, those should largely be avoided with any water flosser you choose. Therefore you do not want to use any essential oils or baking soda to clean your water flosser. Conversely on the opposite end of the spectrum, you will want to also avoid the use of harsh chemicals like bleach or iodine. Instead, its recommended that you use an antiseptic mouthwash solution that will completely kill off any bacteria living within the reservoir or any of the piping leading through the handle. Using a mouthwash is a simple, safe, yet effective way to ensure that if any bacteria is found within the pipes, it is quickly eradicated. To pull double duty on maintenance and water flossing, many people do add an antiseptic mouthwash regularly with their water within the reservoir of their water flosser for a deeper cleanse and ultimately a fresher breath. Whether you are sharing with other family members, a significant other, or simply want a sound investment choice, then we highly recommend that you consider the Waterpik WP-660. The WP-660 is an extremely versatile oral irrigation unit that will serve all teeth conditions including bridges and implants. Another key feature for this water flosser is that it includes 10 levels of pressure. Therefore if you have really sensitive teeth or gums that bleed easily, this flosser will accommodate your mouth. While the Waterpik WP-660 advertises a 90 second water capacity time, lower pressure settings will likely yield a longer run time. To further ensure cleanliness and prevent the spread of bacteria, the WP-660 includes both travel case for 4 tips along with 2 additional tips that can be stored in the same chamber as the water reservoir. The one additional tip can be stored on the handle of the flosser as well. A primary drawback for the WP-660 is its portability, if you are looking to bring your water flosser with you on the road, then we recommend considering the WF-03. Unlike some of the other water flossers that we reviewed, the WP-660, and many products from the Waterpik lineup, come with replaceable tips. Therefore if you break a tip, have additional family members that want to use the water flosser, or any other occasion, this is the one water flosser that will accommodate any setting. This allows you to effectively own this water flosser for life without ever having to worry about trying to find a replacement part. Often people will complain with the sound emitted from water flossers in general. Since these are electric and powered by a motor, the Waterpik will sound noisy to some. However, we found that the decibel level given off with the WP-660 is in line with other electrical based water flossers. For a water flosser that doesn’t emit any noise, we recommend checking out DS2000 we reviewed. Being able to easily replace a tip or try new ones, the WP-660 sets the gold standard when it comes to versatility not seen in many other water flosser brands. The amount of pressure settings and reservoir size for this oral irrigator will allow you to adequately clean your entire mouth in one tank. The variety of pressure settings will satisfy any mouth for a comfortable experience. The extended warranty of this device is one of the best in the industry. Whether your a single guy or a family of four, the H2ofloss was a great sink top system that we reviewed and one that should serve you well given the affordable price point. First and foremost this flosser contains a plethora of tips suitable for all several different uses. While the system is noticeably absent of the plaque removal tip that is better suited for folks with crowns, implants, and bridges, the H2oFloss does an adequate job with the other options that come packaged in this system. Additional tips can be ordered directly from the manufacturer. This product is focused on value, and while it doesn’t perform nearly as well as the WP-660, it delivers a much better value for the money than some of the other units reviewed like the Belmint. A key point of distinction for this water flosser is its reservoir size. At an impressive 800 ml capacity, or roughly 27oz, the H2ofloss should last approximately 3 minutes on the highest pressure setting, which is double the amount of the time capable of the WP-660. While most other water flosser units have the pressure settings affixed to the base of the flossing unit, H2ofloss placed the pressure adjustment lever on the handle for easy adjustments mid flossing while leaning over the sink. While this feature is loved by some, the majority find that its too easy to accidentally adjust the setting mid floss leaving with unexpected results. The number of pressure settings with this system is limited to only 6. If there is a drawback to this water flosser, it will be the rather large footprint of 7″ wide x 4.5″ deep x 8.5″ tall. If you have the counter space within your bathroom, then this shouldn’t be a problem, however, if you are living in a populated area where every inch of space used is a conscious decision, then we recommend using the WF-03 instead. To further speak about versatility, the H2oflosser doesn’t work internationally as well, therefore this flosser is for exclusive use in North America. Lastly, the H2ofloss emits nearly the same noise levels found in other electric powered water flossers. The H2ofloss placed the pressure settings on the handle as opposed to the handle which may lead to accidental adjustments mid-floss. It’s impressive amount of tips that are included with the system, 12 in total, will allow for a lot of versatility not often seen in other flossers we reviewed. North America only. The H2ofloss isn’t capable of handling the voltage output of other countries. When it comes to finding a flosser that will suit you while on the road for either business or pleasure, the Waterpik WF-03 was hands down the best portable water flosser available on the market today. The WF-03 had many things going for it. Most notably, as a someone who is always on the road you will appreciate that this flosser is operated via 3 AA batteries rather than a Ni-MH battery like the Panasonic EW1211A. The advantage of having a battery operated irrigator is that it doesn’t rely on a power converter kit in order to replenish a charge – therefore there is no worries about the device being used with varying voltage outputs of 110V or 240V. With the WF-03, when the device loses its power, you simply need to replace the batteries and continue on your way. While some men may have a dopp kit or general medicine bag to store their deodorant, tooth brush, and other personal hygiene products, the WF-03 does come with its own bag for additional protection. The WF-03 comes included with 3 tips. 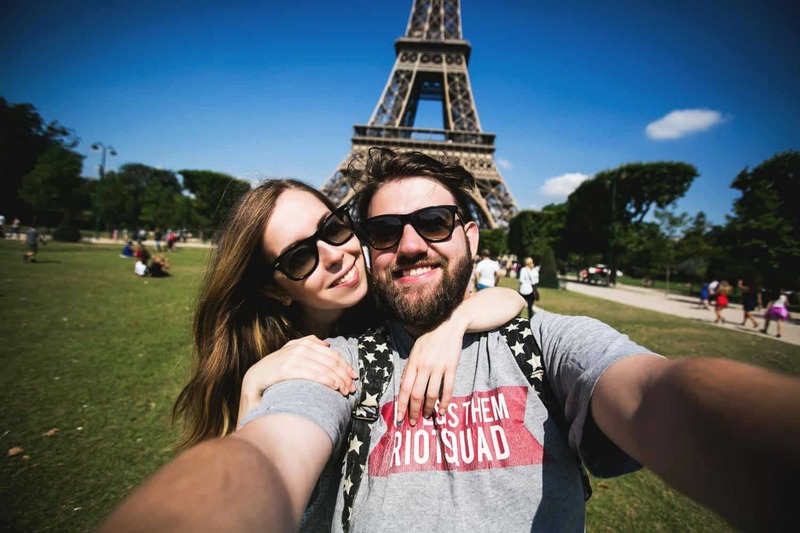 Two jet tips and one orthodontic tip, therefore it should be sufficient for traveling with a significant other who likes to water floss or anyone with braces. Should you have an implant or bridge, Waterpik does sell the plaque seeker tips separately. A drawback in all portable water flossers that we reviewed, and therefore not exclusive to the WF-03, is the reservoir capacity. The WF-03 can only hold up to 30 seconds worth of water. Therefore you should expect to refill the reservoir once or twice during every use, depending of course on your level of hygienic cleanliness you are looking to achieve along with the amount of pressure being applied in the water stream. A secondary limitation to many portable water flossers is their inherit limitation to the amount of pressure settings. The WF-03 comes with two settings, high and low, therefore you will be unable to fine tune the pressure beyond the two provided. While the EW1211A comes with an additional setting, the 71% price increase for the EW1211A simply isn’t justifiable. Overall though, this is an excellent oral irrigator provided by Waterpik and one that should be able to serve you well whether you are on the road,living in a tiny New York City apartment, or are sharing a bathroom with roommates in a dorm. 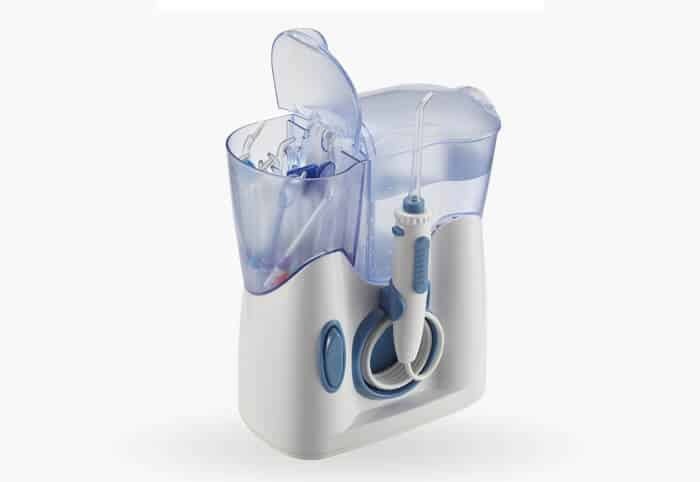 The Dental Spa oral irrigator is one of the most affordable water flossers on our list. With a sub-$20 price tag, this device allows for terrific dental hygiene for the entire family while not breaking the bank, nor the counter space like some of the other water flossers reviewed. The design of this device is straightforward and simple. The water separator and adjustable fittings are included with this device can fit on most standard faucets with a screw type design. If your faucet does not have a screw fitting on the end of it, then this flosser will not work. Once the separator is connected, you will be able use your sink as usual, and when you wish to use your flosser, you can simply turn the bypass valve to reroute the water appropriately. Unlike electric powered water flossers like the WP-660, the Dental Spa doesn’t consume electricity being that it is fully mechanical; therefore if you have a sleeping infant nearby, this device is extraordinarily quiet. However, on the flipside to being a powered solely by water pressure, the Dental Spa does not allow for any preset fine-tuning of pressure. Therefore if you want to use the same pressure every time, you will have to repeatedly adjust your faucet accordingly. 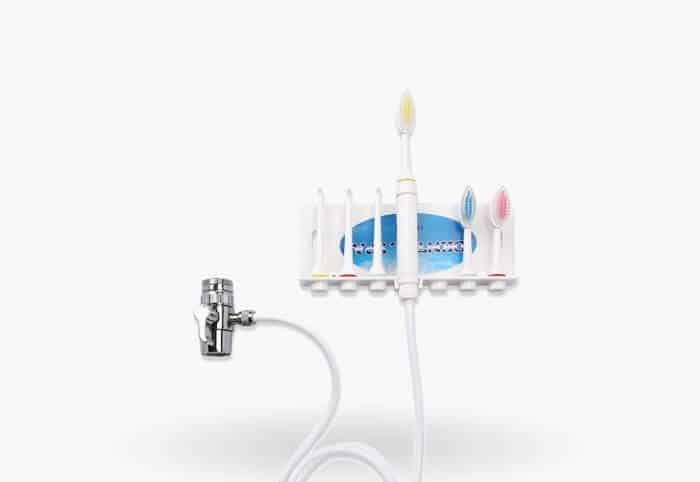 Due to the lack of control on pressure and the limitation of tips provided with this water flosser (3 jet tips and 3 brushes), if you have a bridge or implant we wouldn’t recommend this flosser. Secondarily, the number of tips available for this flosser is limited by the manufacturer. We couldn’t find any other variety outside the brush and jet tips provided. Therefore making this product unable to be used with more than 3 people or if you break a tip, you simply need to purchase a brand new unit. It’s a cheap alternative compared to other water flossers on the market. However if you can make the investment, the WP-660 is a better choice. Being that this water flosser is fully mechanical, finding the right pressure setting may be a challenge. Replacement tips aren’t available, therefore rendering the flosser usesless after several years. One standout product is the Panasonic EW1211A. While we were a fan of the water flosser there simply were some limitations. What we liked about this water flosser was that it had one more setting than the WF-03 allowing for a wider range of pressures when comparing the two. However, although the additional pressure range was nice, the EW1211A fell short when it came to portability and compatibility. This device only has a jet tip available. Therefore if you want to use any other tips, whether a plaque seeker, orthodontic, tongue, or even a nasal irrigating tip, this device is limited by what comes packaged in the box. When compared to the WP-660 or the H2oflosser that offers a variety of tips they are also priced noticeably lower than the EW1211A. On average the EW1211A costs 80% more than the H2ofloss and 6% more than the WP-660. The EW1211A is completely waterproof and does rest in a cradle to charge. Unlike the WF-03, the EW1211A contains a rechargeable Ni-MH battery requiring an adapter should you be using this flosser while traveling outside of North America. Another portable water flosser that we looked at was one provided by ToiletTree. This water flosser, much like the Panasonic EW1211A comes with a rechargeable battery built into the system. However, the battery powering the ToiletTree is a higher performing Lithium-Ion based battery as opposed to the Ni-MH found in the EW1211A. The ToiletTree is capable for use around the world with it capable of being charged between 100 to 240V~50/60Hz. The ToiletTree has an affordable price tag making it a close runner up to the WF-03. In addition, if you go with the “rechargeable” (black version) the adapter can convert to a USB allowing you to use your computer to charge the device which further extends its portability. The Poseidon version by ToiletTree is unable to charge via USB out of the box. The Nicefeel water flosser was a unique flosser in that it had a UV-C chamber to store all your tips within the side for extra sanitary measures. This chamber has an automated light that will radiate UV rays on to your tips for 15 minutes and then turn off. Like the WP-660, the Nicefeel water flosser has 10 pressure settings allowing you to fine tune to just the pressure setting of your desire. The Nicefeel 1,000ml tank, was one of the largest that we reviewed and should last the entirety of your floss with no problems. 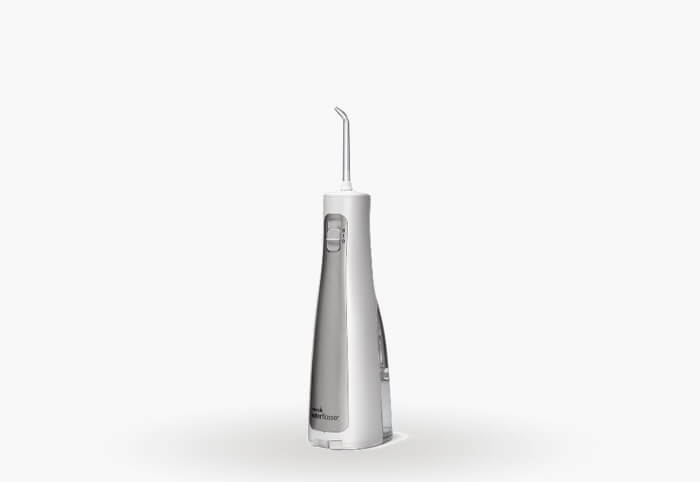 Belmint provides a fine water flosser that is incredibly sleek in design and compact. Making this water flosser an excellent product between the full WP-660 and the compact WF-03. The tip storage on the lid of flosser makes for an excellent use of space. However, unlike the WP-660, the Belmint doesn’t come with replacement tips readily available. We weren’t able to locate them on Amazon nor on the Belmint website. Therefore after long term use and no replacement parts available for this product, you will have to discard of the entire unit. The lack of additional tips also limits this flosser to personal use only. When it comes to deciding on a water flosser, its no wonder that Waterpik completely dominates within this category. With a multitude of pressure sensitivity settings along with a vast array of tips available for use, the WP-660 in particular can work for virtually any mouth type. From braces to bridges, and implants to veneers, the WP-660 will do an incredible job at warding off general gum disease and plaque before it develops into tartar. One factor that many people over look when picking up a water flosser is the availability of replacement parts. If you want to share great dental hygiene with the entire family or you simply broke a tip, you can easily get your flosser back up and running should you decide to get the WP-660. We also recommend the WF-03 if you plan on traveling. It’s reliant design on AA batteries as opposed to a rechargeable battery make it ideal for international use along with living situations where space is a premium (i.e. big city or dorm room/roommate living). Like the WP-660, WF-03 tips are replaceable and can be easily swapped out for varying situations. Plus the additional safety of a multi-year warranty between the two products will give you peace of mind should the flosser ever break.